It shouldn't just be left as an ad hoc cpd type interest - it should be taught in depth at source - we have responsibility for the base of the skeleton IN LAW ! " Its a pertinent quote as far as I am concerned, because the joint research with farriers that I was keen to help out with (I blogged about it last month) has failed. The failure is not because of lack of enthusiasm or commitment on the part of either me, the other horses' owners or the research farriers. The idea for the project came originally from farriers as part of their postgraduate research but we were all keen to help. 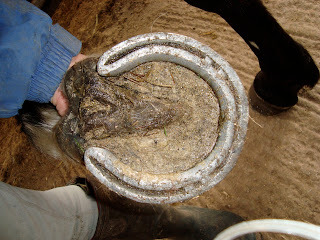 We had a set of barefoot horses lined up, we had 2 sets of shod horses lined up, and all of us (including the owners of the shod horses) were willing to go to lots of trouble to enable to research to go ahead. The research farriers and I had blocked out 2 days to devote to the project and had spent hours working out its details and parameters. They'd made plans to travel many miles to Exmoor in order to be able to assess groups of barefoot and shod horses working on similar terrain. I'd made the Rockley hunters available and interested owners had also agreed to make their shod horses available, even agreeing to transport them to Rockley or wherever they needed to be - and all of this was being done for free, just because everyone found the whole idea fascinating and wanted to be involved in research which seemed likely to benefit the horse. 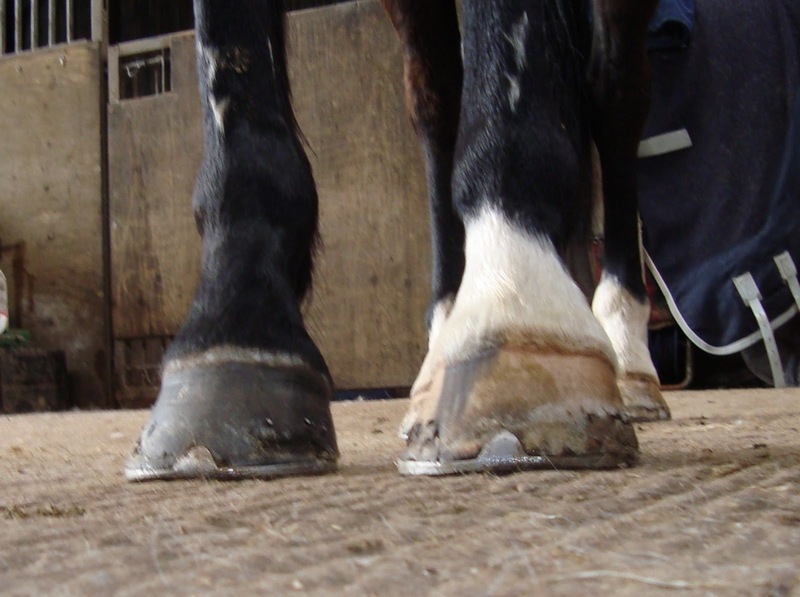 Sadly, the research won't now go ahead because the two farriers who look after the shod horses day to day (who aren't interested in research and "don't believe" in CPD) couldn't, or didn't want, to co-operate and so effectively made the whole project unworkable for their farrier colleagues. 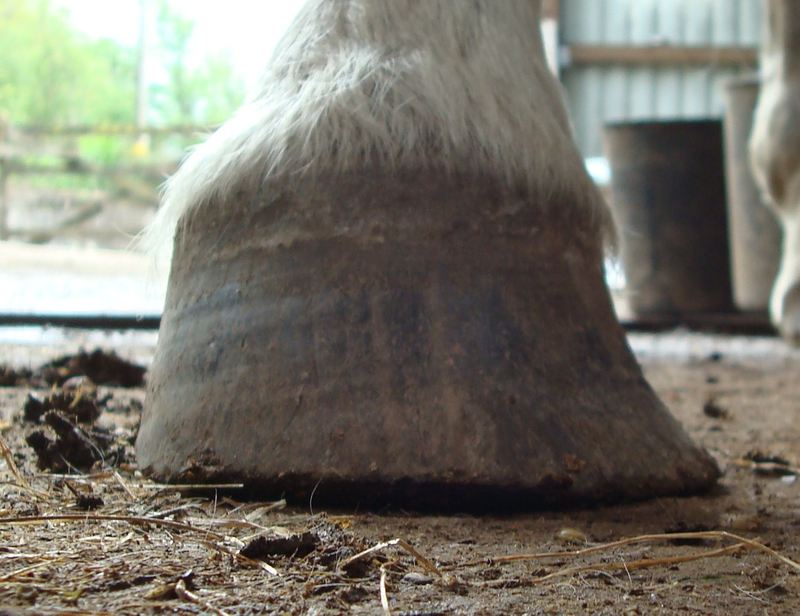 Its such a shame, because all they had to do was commit to turn up at the yards where they shoe on an agreed date, so that the research farriers could take hoof measurements of the horses before and after they were shod. Not a big deal, I would have thought - the dates were flexible and everyone else was bending over backwards to accomodate them. They were even offered the choice of either shoeing the horses themselves, or they watching while they were shod by the (highly experienced) research farriers. Over 2,000 miles, over 40,000 blog visitors! Of course, of the hunters' mileage, the vast majority has been achieved by Felix (on the right), at over 715 miles so far. He has already beat his total for last season and we still have 2 full months to go...He is such a fantastic little horse. Charlie (on the left) and Angel (who I am riding as I take the photo!) have been beating on the door, but with the best will in the world I can't get out as often as I would like, so they have had to be content with a definite second place, and being glad of extra trips out when Edward can take one or other of them! I was amazed to see that the blog has had so many visitors - I knew that there were more people stopping by (thank you!) but had no idea that we had become quite so popular :-) I hope that you will all carry on finding the blog interesting and entertaining despite my increasingly senile ramblings! An owner's insight - and an Isha update! I had an email from Isha's owner earlier in the week and it deserved a blog post of its own. She is saying something that I wholeheartedly believe and which I have seen time and time again with horses here. She is a totally different horse to the Isha of last couple of years, I think she has been very uncomfortable in her feet for a long time as her attitude today and yesterday was that of the happy go lucky 5 year old I remember from the past. I don't actually think she's been right for the past 3 years but has been putting on a brave face, I am still on a massive learning curve but the most important thing I have learnt this year is, above everything else, listen to your horse. Tense, spooky and explosive behavior is saying 'help me, something is wrong!' 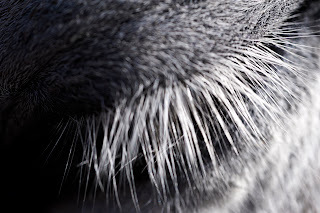 Seems so blooming obvious looking back, its hard when experienced horse people and professionals give so many reasons for bad behavior and usually not one the 'solutions' actually address the cause of the problem." So often horses come here having developed "bad habits"- or are described as being "sharp". Others, like Isha, have reacted to long periods of box rest by becoming explosive. What I see repeatedly is that once these horses are more comfortable, of course their behaviour improves. 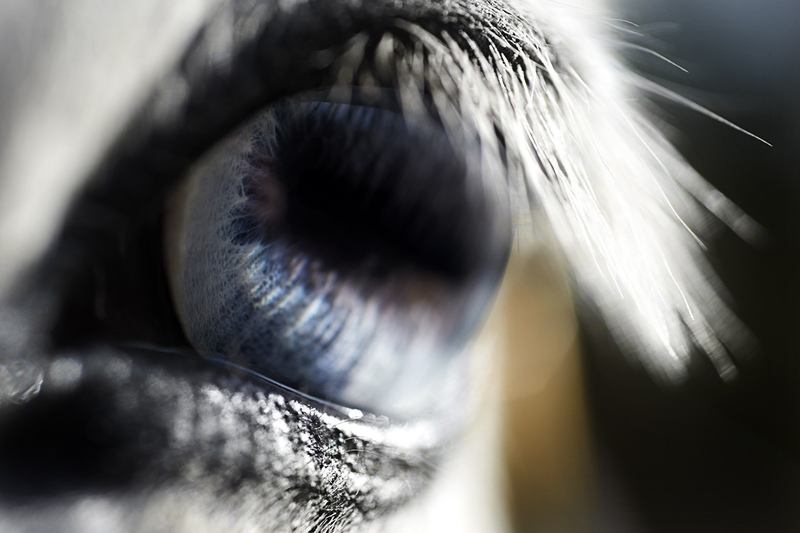 It IS obvious, with hindsight, but sometimes harder to recognise while it is going on, especially if its crept up on horse and owner gradually over time. 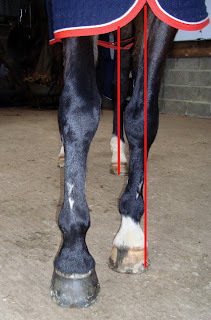 I posted a couple of weeks ago about hooves and symmetry, and how sometimes, when horses are allowed to grow the hooves they need, they can look odd to us even if they are in fact balanced for the horse; usually, it seems that this happens when horses are having adapt to conformation issues or compensate for injury. I put lots of hoof photos on that post but I thought today I would show you the horses on the top of those wonky hooves, and how they fare in action. Their hooves may look odd, but - for these particular horses - asymmetry gives them the best chance of functioning correctly. Remove the asymmetry, and you instantly have a less sound, less capable horse. Oscar: "Keep away from Dilly - she's mine"
Dilly: "Keep away from Oscar - he's mine"
"Hi, I'm Charlie - I'm very friendly; he's called Angel - he's a bit of a plonker but he's ok really." There's no angst or upset about it, its just that the 2 newbies don't trust anyone else yet, because they don't need to; thats OK, they will get there, and in the meantime they keep themselves to themselves and like to find a spot where they can watch what's happening, including all the other horses! Oscar: "Hi Patsy, its really nice to meet you. I'm Oscar. Would you like to hang out with us for a while? I could groom you if you like..."
Dilly: (turning her back) "I don't know what you see in her..."
Patsy has now been here 4 weeks - hard to believe, because it feels more like a fortnight(!) - and I took new footage of her at the weekend. Patsy 20th Feb update from Nic Barker on Vimeo. She has a much better landing, which is great to see, but the change means she is now using herself completely differently and it will take time for her muscles to get used to this. Looking at the photos of her feet, its clear how fast they are changing. 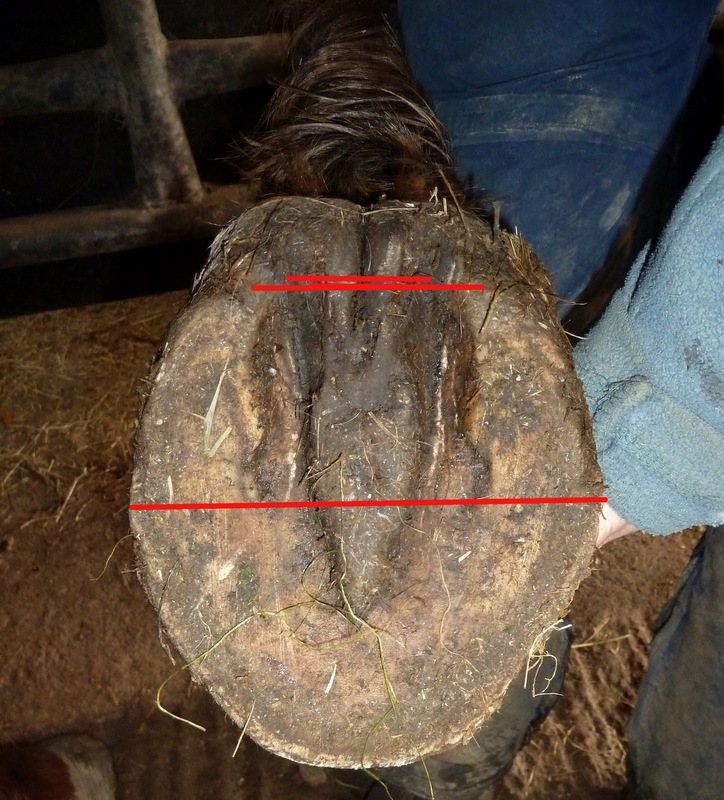 I like the angle of new hoof growth (which is particularly clear on the last photo, after 4 weeks) and the fact that her heels are less under-run. I am very conscious though that such a rapid shift in biomechanics brings its own stresses and strains. Patsy is landing better but it will take far longer than 4 weeks to give her a fully supportive hoof capsule, and until then I have to be cautious with the work she does, to avoid stressing her tendons and ligaments. Oh, what a clever boy you are, Ginger! First of all, bear in mind that most of the horses who come here are young - between 5 and 10 yrs old, whereas Ginger is a proper veteran in his late teens. Its all very well for a smart young thing like Kingsley to decide to grow himself better feet, after 6 years, but when you've lived with your feet for 3 times longer than that, its a tougher proposition. That isn't stopping Ginger though. Here is his worse foot - LF - when he arrived. A pinched frog, contracted and under-run heels and poor foot balance can all be seen. This next photo was taken after he had been here just over a month - the start of better balance but little change in the heels and frog. The lines are between the widest point of the frog, heel buttresses and widest point of the foot. Just to prove its not a flash in the pan, here is his heel shot when he arrived. 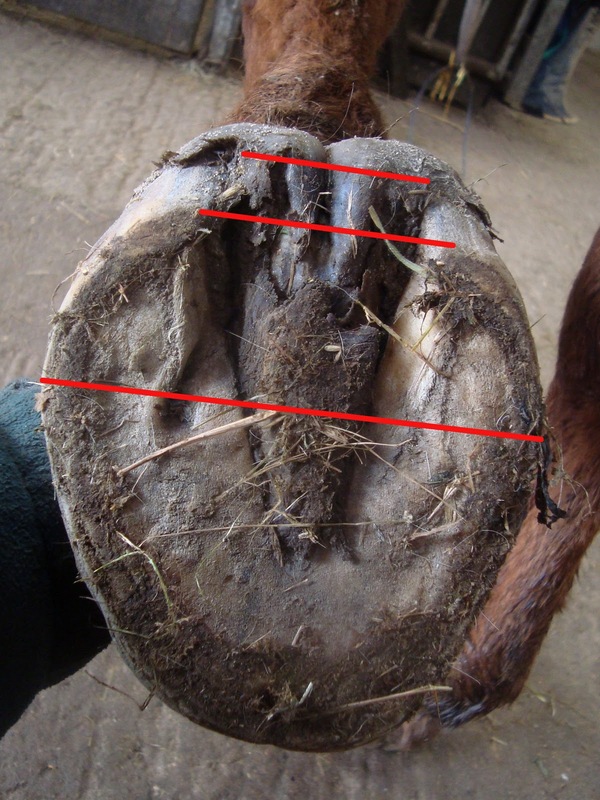 Both front feet looked the same, with a split central sulcus - or sheared heel - narrow frog, contracted heels and weak digital cushion. Naturally, 2 months of rehab can't just wave a magic wand but he is well on the way to an infinitely stronger caudal hoof - look at the development in the digital cushion over this short time! The frog is also strengthening and the central sulcus is healing up. Its still a weak hoof from the caudal aspect but the frog is at last getting correct stimulus, so expect more improvements over the next few weeks! The better shock absorption which a healthy frog and digital cushion will give him is even more important for an older, slightly arthritic horse like Ginger, after all! Finally, here is his footage, which confirms how much more comfortable he is. Oscar arrived in shoes and his feet and distal limbs were cool to the touch where as Dilly - whose shoes had been taken off a week ago for an MRI - had warm legs and hooves. Dilly - day one footage from Nic Barker on Vimeo. Oscar - day one footage from Nic Barker on Vimeo. 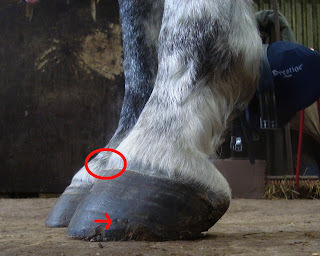 She has gone home with her hooves still a "work in progress" particularly where the old abscess damage has to grow out, but also because (as with most horses when they go home) she has grown only half a new hoof capsule and her hooves will become stronger over the next 3-4 months as the full strong new hoof grows in completely. Her sole doesn't look completely balanced but the reason for that becomes much more obvious when you look at a lateral shot. 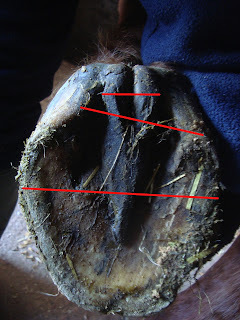 The ridge is the effect of the abscess and below it you can see where the weakened hoof wall has broken away. In the sole shot it appears as a lack of heel buttress and bar - the damaged, weak structure has gone and stronger new growth is appearing but (as you can see from the lower photo) its not yet completely replaced and repaired the old damaged area. For now, although her right front is not quite as well balanced as it will be, work will help her feet grow stronger and faster and it shouldn't be long before her right front is as good as her superbly strong left front! Kingsley comparison from Nic Barker on Vimeo. Kingsley is interesting, frustrating, endearing and educational almost in equal measure - you could write a book on him alone, and few horses more eloquently demonstrate that you can't look at feet - or backs - in isolation. 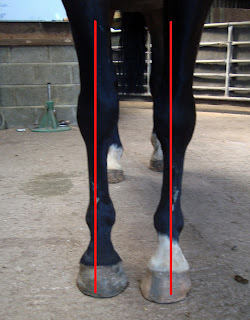 There are still big changes happening in his feet, especially his RF, which is of course the rein he struggles on when on a circle, and its still far from being in the right place for him, though I think he is getting there. I had a slightly frustrating day yesterday - it happens now and again, and sometimes, though not always, its the result of an encounter with the veterinary profession(!). Most vets are great to deal with - professional, helpful and undoubtedly concerned primarily with the welfare of the horse - but they are also, understandably, conservative by nature. 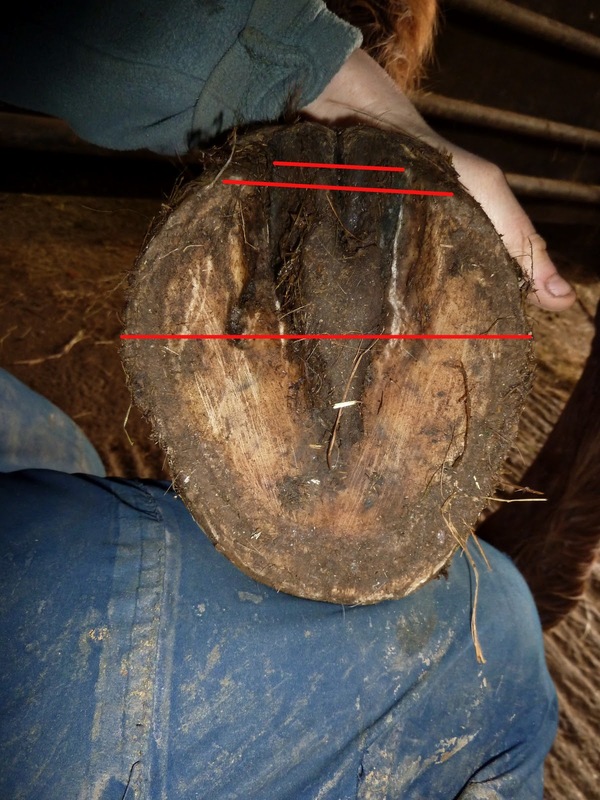 One of the reasons I spend a lot of time collecting and recording information on the rehab horses is because its only by this sort of evidence-gathering that our rehabilitation becomes credible. The research project is absolutely critical, and I always send details of the project and the results to vets, and try to keep them updated as the horses here progress. Maybe its because I am a hopeless hoof nerd, but I find it odd that vets don't get as excited by the results as I am. I know - because they've told me - that vets find it depressing and frustrating to see these horses become lame and fail to improve - so why aren't they more intrigued when the same horses become sound? Some vets do get excited, but many others don't - which to me is inexplicable. I'd understand completely if the view was "we're interested but we need more research"; I'd be ecstatic if someone was intrigued enough to use the research results I've got and analyse them further, or develop more research - which is something I don't have the skills to do. I find indifference puzzling, though, particularly when for many of these horses everything else has been tried and has failed. "Think for a moment what surgery was like before the invention of anaesthesia in 1842... Imagine taking pride above all in the speed with which you wield the knife - speed was essential, for the shock of an operation could itself be a major factor in bringing about the patient's death. Now think about this: in 1795 a doctor discovered that inhaling nitrous oxide killed pain..yet no surgeon experimented with this. The use of anaesthetics was pioneered not by surgeons but by humble dentists. One of the first practitioners of painless dentistry, Horace Wells, was driven to suicide by the hostility of the medical profession. When anaesthesia was first employed in London in 1846 it was called a "Yankee dodge". In other words, practising anaesthesia felt like cheating. Most of the characteristics that the surgeon had developed - the indifference, the strength, the pride, the sheer speed - were suddenly irrelevant. Why did it take 50 years to invent anaesthesia? Any answer has to recognise the emotional investment that surgeons had made in becoming a certain sort of person with a certain sort of skills, and the difficulty of abandoning that self-image. If you want to think about what progress really means, then you need to imagine what it was like to have become so accustomed to the screams of patients that they seemed perfectly natural and normal...you must first understand what stands in the way of progress"
Charlie takes his job seriously, as you can see, and was thrilled to be out. For once it was not only a fantastic meet but gorgeous weather (it was pouring with rain the next day, of course, but that doesn't matter). Danielle and Richard came to see Ginger this weekend and after a session with scissors and clippers, Ginger was ready for his close-ups, looking more like a show horse and less like a hippy! Ginger and Angel from Nic Barker on Vimeo. Kingsley - a case study in foot balance! 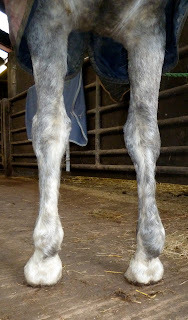 Kingsley has now been here for 4 months and is well on the way to a better, more balanced hoof. Here is his LF at 4 months, with the red line showing the angle of new growth. 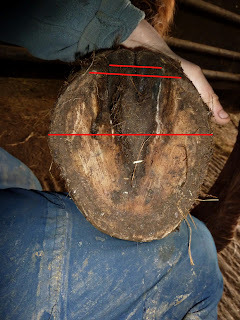 As you can see, the old growth is more detached and although there are only a few mm of difference between old and new hoof capsule, its enough to significantly affect how his hoof and limb load. 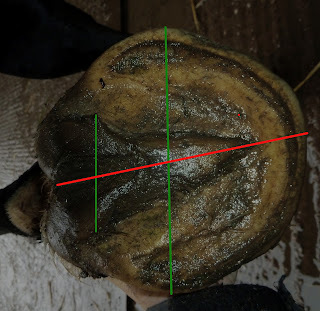 Here I've taken a shot from above his hoof, which I don't normally do, but its the clearest way to show how his hoof capsule has shifted position relative to his limb. This is a lateral shot of his RF, and again its taken at an angle which highlights how much difference there is between the way he has been loading his hoof, and how he will load it once his new hoof capsule has completely grown in. For now, the big contrast in balance between the old growth - which is still what he is landing on - and the new growth - which will better support his limb - causes some problems, particularly on uneven ground. There is a huge temptation to radically trim his feet to get rid of the old growth, or at least bring his toe back and remove some of the wall deviation. You could argue - with good reason - that he should be more comfortable and move more correctly once that was done. I've been wanting to find something that could cope with speed but still give reasonable definition and I think I've found it. So here is some Exmoor hunting footage to get you in the mood, starring some of our gorgeous hounds and with Bailey, Jacko, Charlie, Felix and Angel rock-crunching in glorious technicolour. Proper job! Rockley horses hunting on Exmoor from Nic Barker on Vimeo. Best watched in full screen via a good broadband link! 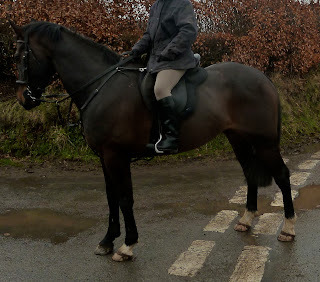 I took some new footage of Patsy and I am really pleased with how she has progressed over the last couple of weeks. I posted her photos here, and the new footage is below. Patsy - 6th Feb update from Nic Barker on Vimeo. She is landing much better with all 4 feet, and the beginnings of a good heel first landing in front is particularly nice to see. As with Kingsley, this isn't the whole story because medio-lateral balance is a big issues for her at the moment, but its a very encouraging start. Here are Ginger's photos showing the changes since he arrived on day 1. In some respects not as radical as I would like, but the improved harmony and better caudal strength of the hoof over 2 months is undeniable. The lines are drawn between the widest point of the frog, heel buttresses and widest point of the hoof. Fascinating how much better the same foot looks from the front as well...from wonky (technical term) with a big crack to fairly straight, with the crack growing out :-) Solar and cranial views in perfect harmony! 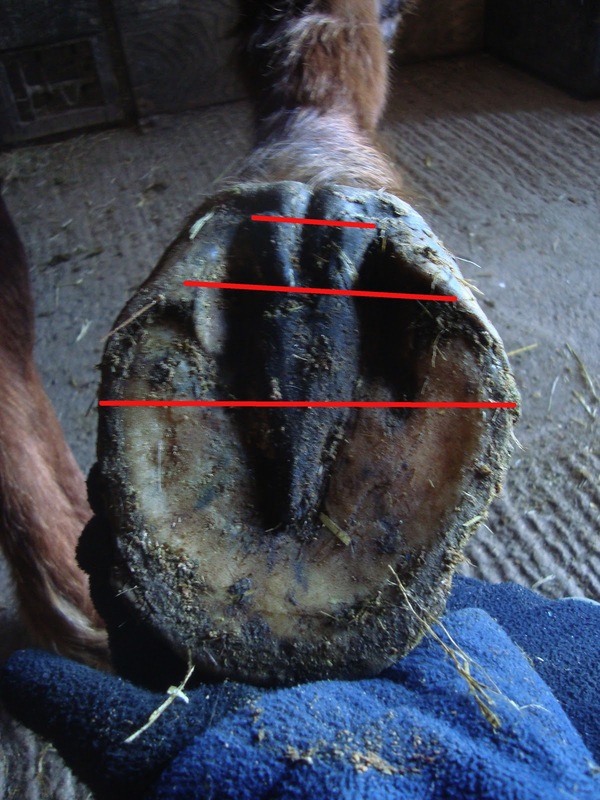 ...and secondly that her hoof growth rate has increased since December, when she last had shoes on - the arrow indicates the nail holes. 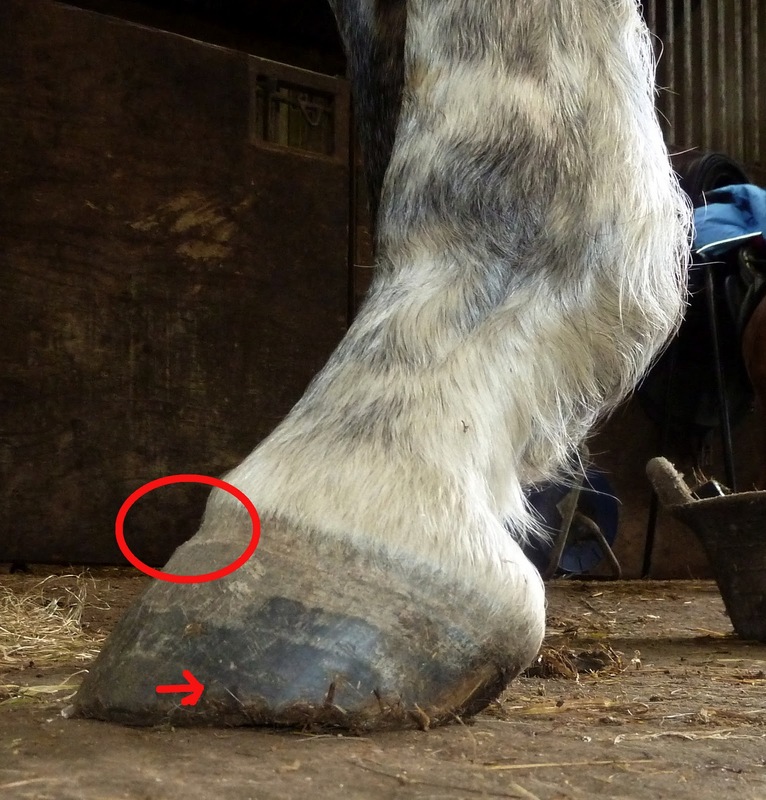 Interestingly, given the post I put up yesterday, I am beginning to suspect that Patsy may have also been loading her hooves unevenly. Her LF particularly has a twist currently which may have been contributing to her problems. It looks from this angle as if she may have been overloading medially, as opposed to laterally, as the other horse was doing. 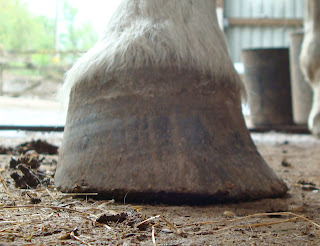 It will be fascinating to see how her new hoof capsule compensates for this. 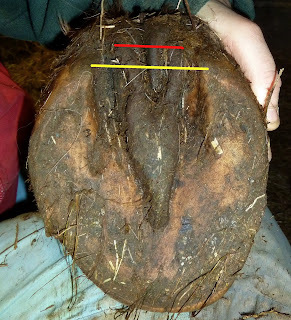 So, here is the promised, more detailed post on hoof balance, symmetry and limb loading...it may run to several parts, but let's get started. It really follows on from a post I put up in September: http://rockleyfarm.blogspot.com/2010/09/how-to-balance-hoof.html, which looked at the same horse. and below is how they looked the day the horse arrived at Rockley, nearly 2 years ago. 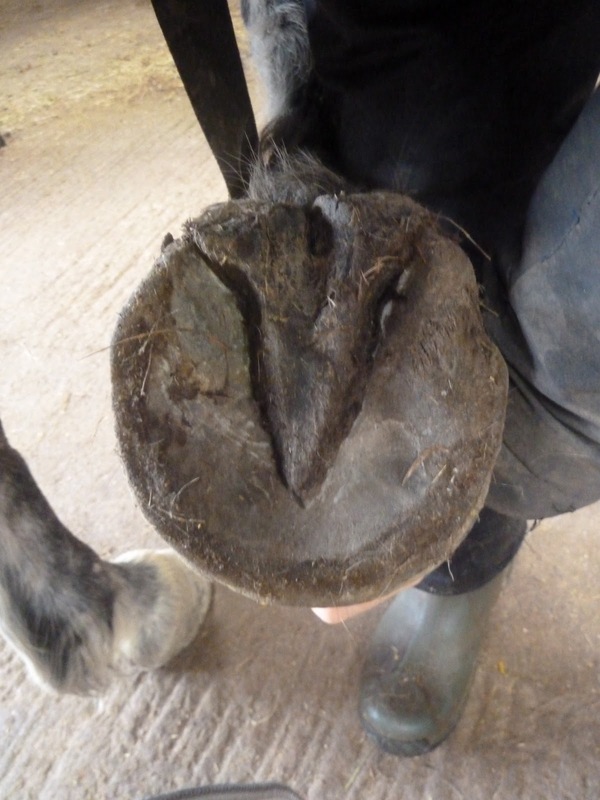 On the face of it, much nicer when shod - symmetrical, balanced and (given that he was due for shoeing) basically nice feet. Problem was that he was toe first landing, lame and only able to work on 2 bute per day. 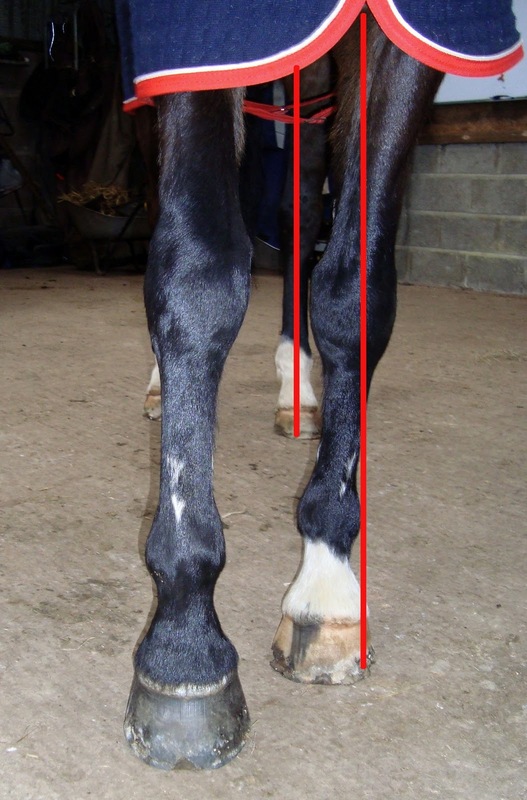 You have to forgive the photos, because at the time I took them, I was doing routine shots and I had no idea how important they would be - however, when you look at his limb conformation - especially with the benefit of hindsight - things become clearer. On day 1, even though he is not standing perfectly square, you can see that his LF overloads laterally. Its more obvious when we put Wiola's lines on, which demonstrate how the limb loads; although he isn't standing still, the difference between the LF, which is off laterally, and the LH, which is fairly evenly loaded, is clear. 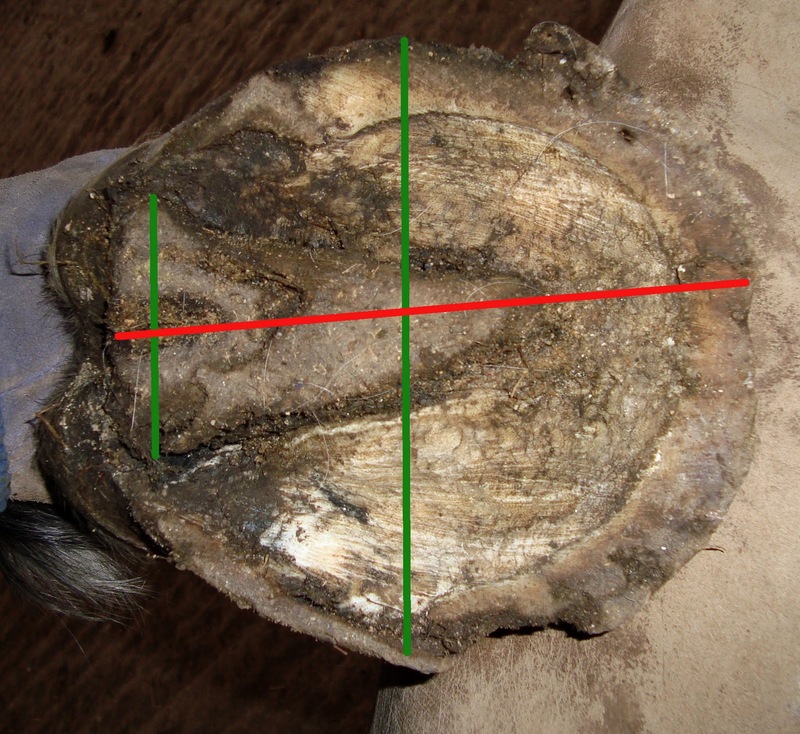 As this horse grew a more supportive hoof caspule, it included a medial deviation on both front feet, though more pronounced on the left front. The reason for this is clearer when we put similar lines on again, showing the load to his new, more supportive feet. 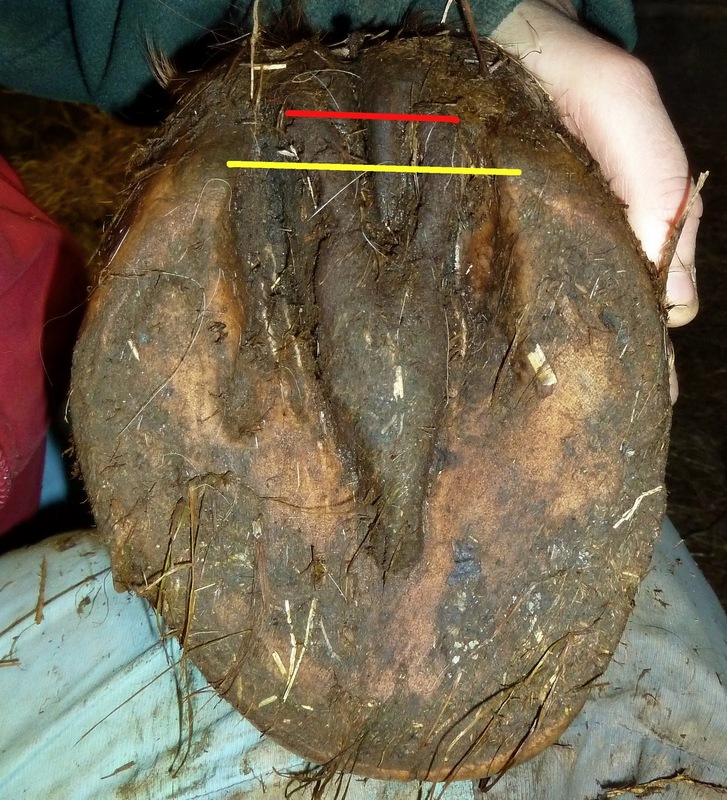 The load is not perfect, and perhaps never will be for this horse, but the medial deviation at least means that load is shared more equally through the hoof capsule. Looking at his solar view at day one, in shoes, it doesn't look too bad, though the frog is non-weightbearing and the heel heights are slightly uneven. Immediately out of shoes, the foot is a bit of a mess with weak hoof wall, a prolapsed frog - its also very flat. If you look at the orientation of the frog and compare medial and lateral aspects, you can see that the lateral side the (lower side on the photo) is broader. By contrast, his later sole shot shows a much more substantial frog which has a key weight-bearing function and that there is no difference in hoof wall height. Its interesting to also see how much more robust the frog and digital cushion are than when the horse first came out of shoes. Putting the same lines on, there is now much greater weight-bearing capability on the medial aspect (which is towards the top of the photos as you look at them). Now I would be the first to agree that this is a far from perfect hoof, and it still has, and perhaps will always have, weaknesses - but after all, its the foot of a horse who has had to compromise for many years. 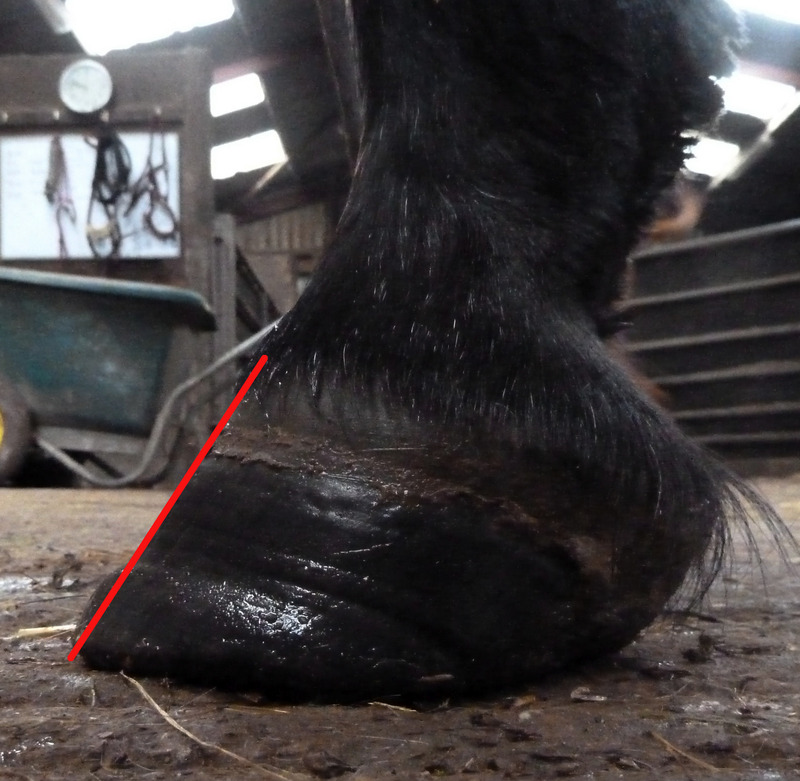 What's important to realise is that the solar shot shows that the hoof is actually loading more evenly, despite the fact that it looks "unbalanced" from the top. 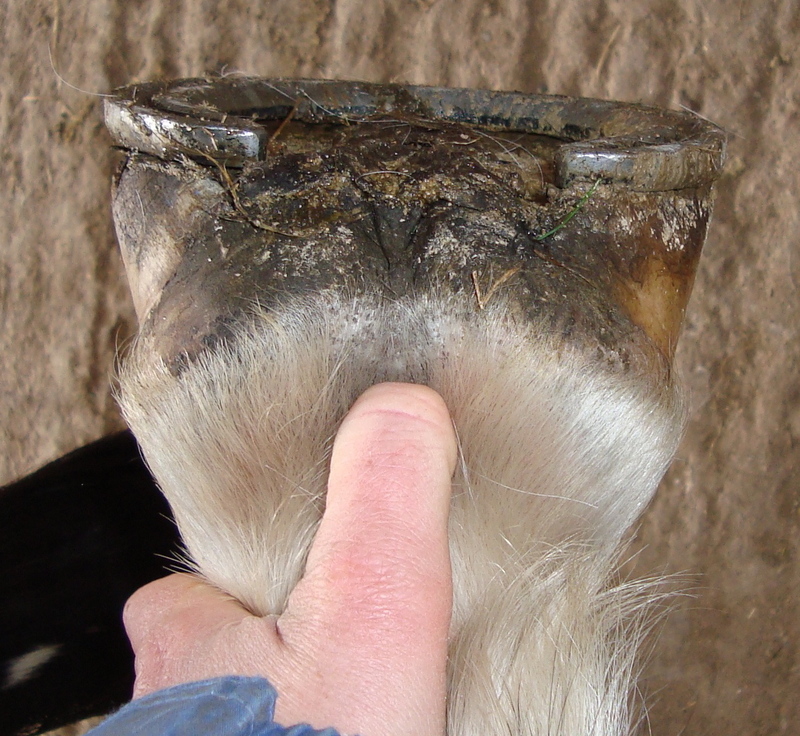 When the hoof looked more symmetrical from the top, it was actually loading in a less balanced way.